I showed you some preliminary pictures of the upcoming (for us) Urban Decay 15th Anniversary eyeshadow palette over the weekend (see the close ups of the case, and size and fingerprinted glory here) Everyone’s baying for swatches and yes, we have them! Hurrah! 😛 I have a very quick sort of eye look but had no time to do anything dramatic because I’m going away, and I wanted you to know that this palette is very friendly despite the bright colours, and that yes, I predict many of you will be liking it very muchee! Before I start with all that malarkey, I wanted to just correct myself in my previous post. I noted that the palette comes in a metal box sitting in a plush velveteen “gift” box. And I was correct. However, I thought that that velveteen box was the “free gift” and that’s where I was utterly wrong. Urban Decay was not pulling your leg when they said that you can remove the eyeshadows and use the box as a keepsake box. You literally can remove the eyeshadow tray. The velvet lined bottom layer is then for your use as you want it. Honestly, I’m not sure what you’d do with it. Where would you put the eyeshadow tray to start? Good question eh? So what you essentially get in the Urban Decay 15th Anniversary eyeshadow palette is 2 “free gifts” and 15 brand new eyeshadow colours. You get a big plush royal purple velvet box, and a metal velvetlined box. What you do with your eyeshadows remains to be seen. As I am boggled by that last thing, I chose to keep my shadows in the UD box. Makes a heck lot of sense to me 😛 Maybe I can hide brushes underneath or primers, or various makeup bits so this case becomes my travel case? Food for thought. So anyway, here is quickly an overview of the palette before I get into the swatches. Names are by Urban Decay. Descriptions are my own based on how I perceive them. Midnight Rodeo and Midnight 15 are reminiscent of the texture of that infamous Midnight Cowboy and Midnight Cowboy Rides Again, 2 highly glittery shades with a lot of fall out. I personally find that Midnight Rodeo and Midnight 15 do not have spectacular fall out which is great, but are colours you will reserve for evening makeup or just for a touch in the inner lid for a bit of highlight. 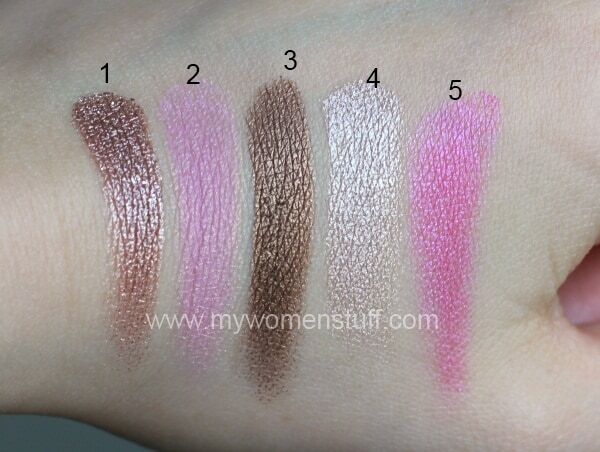 All shades were swatched with fingers just once and the textures are in the main, smooth and very pigmented. The colour I was most excited about is Omen and I’m happy to note that it does not make me look bruised! It in fact applies on me looking lilac and it is most definitely cool toned. It is a bit of a duo chrome shade so it can look quite different as the light hits. Vanilla and Flow are packed with shimmer and make great highlight shades, but can also be worn on their own without fall out of looking glittery. The colour that surprised me most is Ace which looks a dull grey in the pan, but swatches a very pretty blue-grey with a satin feel. All colours are swatched just once. See the pigment! There is only 1 matte shade in the palette which is Blackout. It is dark, but I had to swatch it twice to get the intensity you see here. A let down for me was Evidence which is a gorgeous navy blue shimmer as you see here. But I had to layer it 3 times before it showed up looking anything as pretty. Applied with a brush, it shows up even less pretty. So I’d use my fingers for Evidence and as a primary colour instead of as a contrast or smokey shade. The other colours were swatched just once, which tells you something about quality. 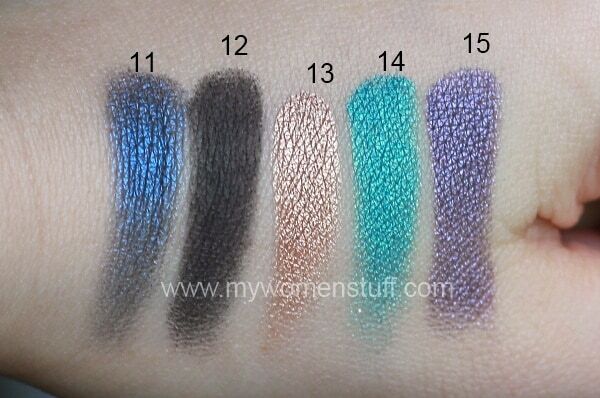 I will note that all the swatch photos were taken in natural light. That should give you an idea of how shimmery they really are. If they are this vibrant under natural light, imagine how they’d look under lighting! And here’s a very quick look I threw together. Just the eyes I’m afraid. I just could not make it look any better than this 😛 The whole face shows up in a different review to come so you will get to see it all then. Omen on outer lid, Midnight 15 on inner lid and blended, Evidence on outer most lid and “crease” (does not show up well) and Vanilla to line lower lid. Used sparingly, Midnight 15 whilst glittery does not look super sparkly for the day (quite understated in fact) and I experienced no fall out. If you don’t have an Urban Decay eyeshadow palette, and found Naked way too boring, then you will like the 15th Anniversary palette. It has a good mix of neutral and colourful shades which can throw up an infinite number of combinations. Textures of eyeshadows vary in the palette as does quality. In the main, the shadows are pigmented and swatch smoothly barring 2 shades – Evidence and Blackout. Perhaps I’m just picky. A point to note however is that this palette does tend towards being cool toned so if you are neutral toned or can handle cool colours well, as I can, then you will like this palette. If you prefer warmer colours (yellow golds, browns, warm greens) you are better off waiting for another palette because you will not maximise the use of this one. I’m quite happy with this, but there is room for improvement. As I previously noted, I purchased mine through a friend (Hi S) in London. I am told its coming into Sephora locally in early September (try September 1st) so look out for it then. Should you get the 15th Anniversary Palette or the Naked palette? 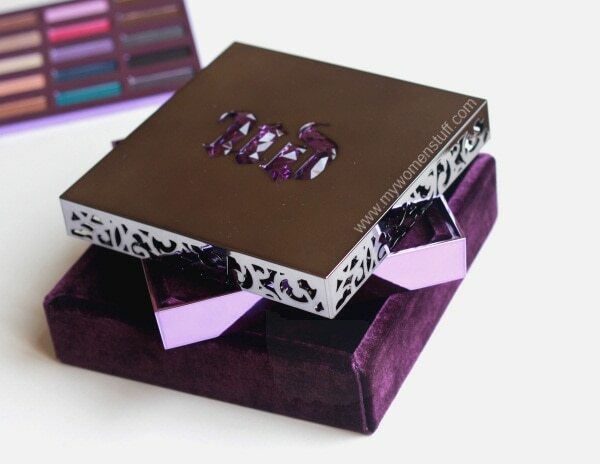 Urban Decay 15th Anniversary Eyeshadow Palette is limited edition and was purchased by me from the UK for £37. Local availability is in September 2011 at Sephora and priced at RM180price is unknown for now. However, from your swatches it seems that I already have most of the colors in my current stash in one form or the other. Haih…. dilemmas dilemmas. Yay! I’m glad you agree with me 🙂 they do have quite a few nice combis in there! I am strangely attracted to Omen… they don’t have this particular color in e/s singles do they? Not yet 🙂 These are supposed to be brand new UD shades. Yup! Its about the size of the Book of shadows I think. Bulky! That’s it. I’m getting this by hook or by crook. Loving the jewelled tones! Haha I do hope you like it if you do get it. The colors do swatch very prettily! Haha I don’t know the local price but I think we’re looking at RM200 or a little below. 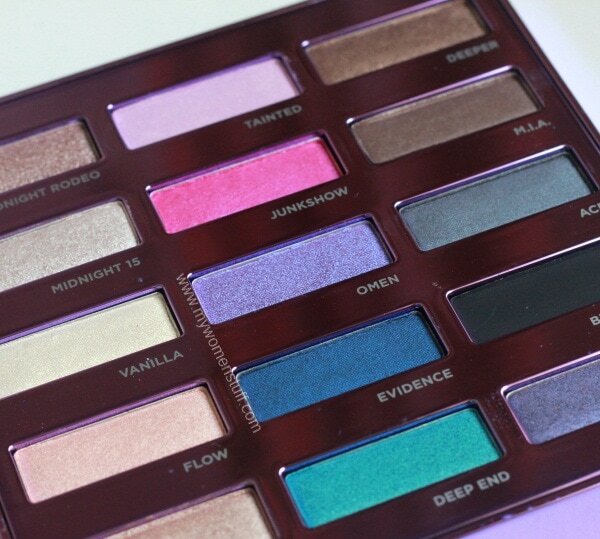 I so want this palette. 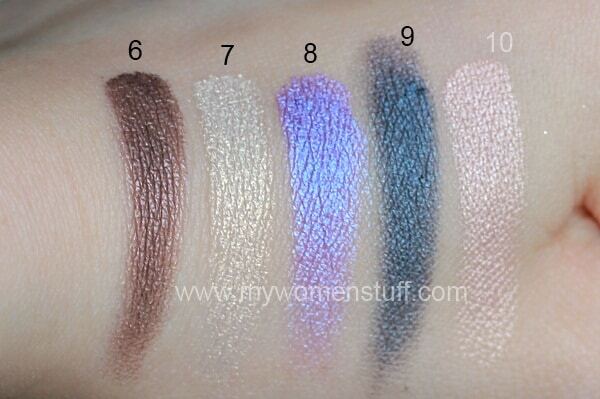 It has a nice mix of colorful and neutral shades and they are so pigmented! Love the look you did with it. I am staying away from this palette because of all the cool tones. I am investing in other brands this autumn, like Tom Ford! I think it’ll look as gorgeous on you! 😀 if budget permits and you don’t have a palette of colours, this is a good palette. I do hope you enjoy it as much as I do mine 🙂 Glad to help give you an idea of it. Yup, I found UD Naked Palette overrated and very yawnsome but this baby is the bomb! Or from what I have read and seen on blogs! I want so badly!!!! The colors looks gorgeous! Something different from your usual EOTD. the swatches are so pretty and pigmented. i dislike the bulkiness as well. take up too much space. Yep it does take up way too much space. I would have preferred if UD had skipped the hype and packaging and just put all the colours together in one compact palette because I think its a great palette, just not travel friendly. Hope you pick it up when it launches where you are! already in Sephora for RM180. i tried swatching few colors (junkshow, evidence and other colors i cant rmbr) and finds it abit chalky. or is it the tester/temperature i’m not sure.. dear!!!! found ur blog n ive been reading ur posts for the past 24hrs!!! btw is UD available in MSIA..?? how’s was the palate? nice to use? will it easily fade out? tempted to buy it because now is available at Sephora Malaysia~ heheheh..
My thoughts are above in the post. I think reading the nutshell bit may help 🙂 On my non oily lids, they last all day but I can’t say the same if you have oily lids although a primer will help.